I'm working on a new painting that will involve spaghetti. My initial search through Google Images included the following that I thought neccessary to share with all of you. 3. 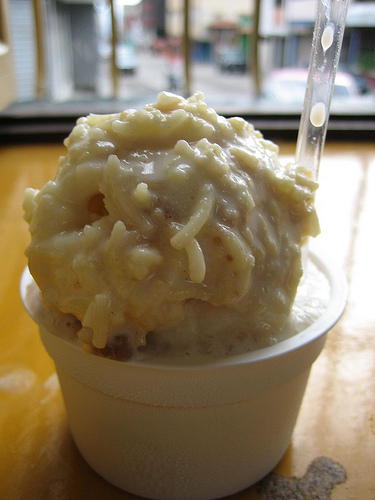 Spaghetti and Cheese Ice Cream made by Heladeria Coromoto, a Venezualan restaurant (which has over 800 flavors of ice cream!!! ), via Turkey Hill Ice Cream Journal. Reminds me of Ice Cream City in Tokyo where Ed and I sampled Honey, Azuki Bean, Chestnut, Snake and Squid ice creams.